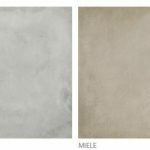 The Fattoamano Series is a 24″ x 24″ porcelain floor. 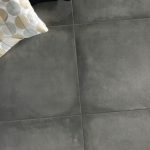 It is manufactured in Italy and features a concrete and terracotta effect. It is available in 4 colors: Bianco, Grigio, Miele and Nero.